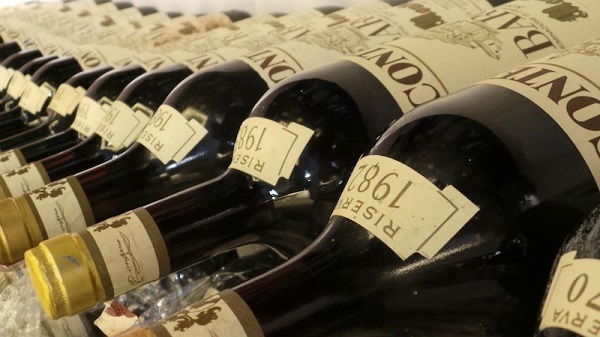 Since 1970, Giacomo Conterno has bottled just eighteen vintages of their flagship Barolo Riserva Monfortino in magnum. 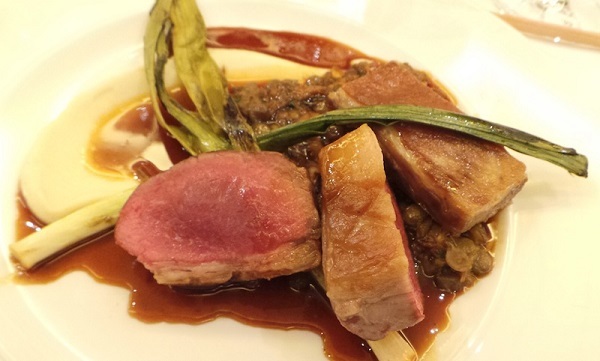 We opened them all at this epic vertical tasting and dinner in London. I have always been attracted to the historical context behind the world’s great wines. A few years ago, we began hosting a series of events designed to explore and better understand the rich cultural fabric that informs those wines. In 2011, we tasted every vintage of Masseto, which at the time was the most comprehensive vertical of that wine ever staged. Last year we organized a complete vertical of Solaia, the first time all 26 vintages had been tasted together. In both of those instances, the tastings yielded a wide range of insights that would have been impossible to gain otherwise. The term ‘once-in-a-lifetime’ is often overused, but it really does capture the essence of this tasting of every vintage of Monfortino bottled in magnum between 1970 and 2006, the first vertical of its kind ever held. I haven’t tasted eighteen vintages of Monfortino from magnum in aggregate during all of the years I have purchased, drunk and reviewed wine. I am pretty sure none of the attendees had either. It was a first for Roberto Conterno as well. Watch as Conterno discusses the historic context of the vertical in this video interview, shot just before the tasting. 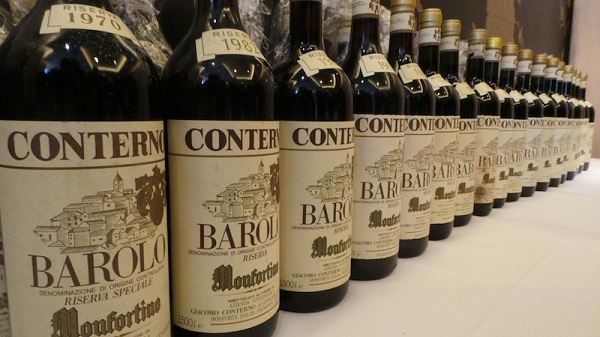 Interestingly, Conterno did not bottle Monfortino in magnum between 1971 and 1979. In the 1970s, magnums were filled by hand, which often led to slight bottle variation. 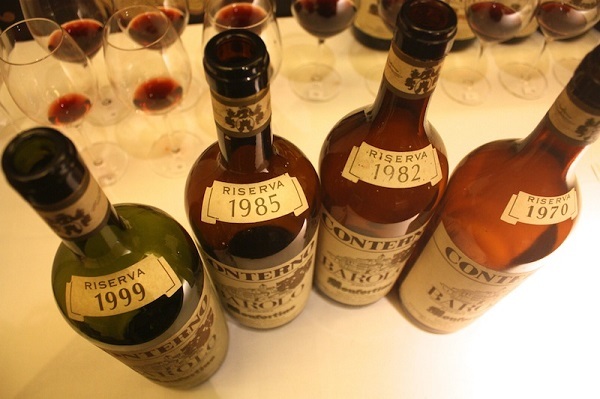 Giovanni Conterno stopped bottling magnums after 1970 and started again only in 1982, when modern bottling equipment allowed for filling magnums on the line. Thus, two of the greatest Monfortinos of all time, the 1971 and 1978, were not bottled in magnum. All of the wines for this tasting were acquired from a pristine private collection that has supplied my personal cellar for many years. With one exception, the 1996, all of the wines were gorgeous. A word (or two) of caution: The magnum format and impeccable provenance of these bottles are both significant factors in why the wines showed as well as they did. As always, I urge readers to be cautious when sourcing older vintages in the market today. The wines were opened about four hours before dinner and double decanted, starting with the most structured vintages, which I expected might benefit from additional aeration. The wines were grouped in thematic rather than chronological flights, which gave us the opportunity to taste wines that share common attributes together. Each wine was served in its own glass, so attendees could follow the evolution of wines throughout the evening. I discuss some of the overarching themes of the tasting in this short video. the world; namely that the supply of high-quality grapes was shrinking as growers became bottlers, which in turn was driving land prices higher, which meant that the only way to ensure quality over the long term was to own vineyards. 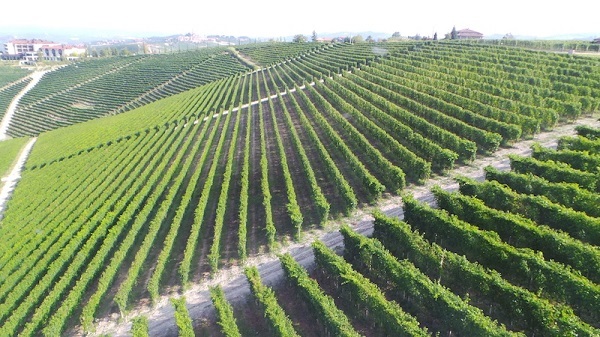 In 1974, the Conterno family purchased Cascina Francia, a 14-hectare plot in Serralunga. Although cultivated predominantly with wheat at the time, vines had been planted at Cascina Francia previously. Conterno replanted with Dolcetto, Freisa, Barbera and Nebbiolo, the four main indigenous grapes of Piedmont. The spectacular 1978 vintage rewarded Giovanni Conterno with his first Monfortino from Cascina Francia, a wine that is still one of the greatest Barolos ever made. Today, Roberto Conterno continues the rich legacy of vineyard work and winemaking established by his father Giovanni and grandfather Giacomo before him. Monfortino remains a selection of the best fruit from within Cascina Francia and is bottled only in the very best years. Winemaking is rigorously traditional. Long fermentations are followed by an unheard of seven years in cask. Over the course of dinner, Roberto Conterno offered a tremendous amount of insight on viticulture, winemaking and history. These are some of the many, many highlights from the evening’s conversation. It’s virtually impossible to know where to start, but I chose three Monfortinos with the least upside potential (in relative terms) to start the dinner. The 1988 Monfortino is a real stunner. From bottle, I have never truly loved the 1988, but from magnum, well, it is another story. Fresh, translucent and vibrant on the palate, the 1988 has a classic sense of structure that borrows elements from the 1970 and 1987. Tasted again at the end of the dinner, the 1988 is in a great place now. 96/Drinking window: 2014-2024. 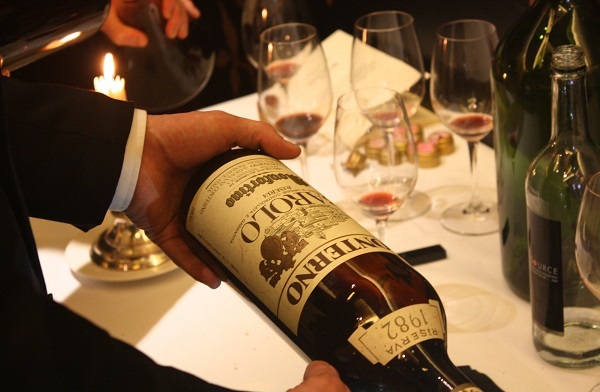 The 1993 Monfortino is one of the wines with the most sediment, but once the wine is decanted, the fruit really begins to pop. This is one of the deeper, meatier wines of the evening. 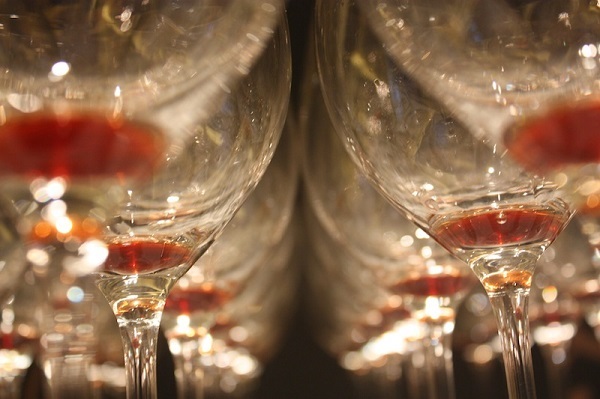 There is plenty of depth and intensity in the glass if not quite the finesse or translucency of the very best years. I don’t expect to see too much upside from here, but time will tell. 94/Drinking window: 2014-2023. Another pleasant surprise, the 1995 Monfortino is just entering its early peak of maturity. The hard contours have softened and the 1995 appears to be evolving along the lines of the 1988. The 1995 can be enjoyed today, but it also will age well for another 15+ years. Tonight, it is terrific. 95/Drinking window: 2014-2030. The 1997 Monfortino is served and all conversation suddenly stops as we taste the wine. Breathtaking aromatics leave the room rapt with attention. You can hear a pin drop. Just as thrilling on the palate, the 1997 is utterly captivating from the very first taste. The 1997 is exotic, full-bodied and viscerally thrilling to the core. What a wine! 99/Drinking window: 2014-2027. I also very much like the 2000 in this flight. A model of total finesse and delicacy, the 2000 doesn’t have the volume or power of the 1997, but it is perhaps just a bit more finessed. Today, the 2000 is a bit shy. What might it blossom into in a few years’ time? I can’t wait to find out. From magnum, the 2000 Monfortino is pure seduction. 98/Drinking window: 2015-2040. In this flight, the 1998 Monfortino is a bit penalized. Initially I thought it was a bit oxidized and/or over-ripe, but the wine just needed time to open up. By the end of the evening the fruit is really popping in a generous, beautifully resonant expression of Monfortino. In any other setting, the 1998 would have been the wine of the night. In this tasting, it is merely exceptional. Ironically, one of the wines I thought needed the least air needed the most. 96+/Drinking window: 2014-2038. The 1990 Monfortino is very, very good, but in this context it is a bit rustic. One of the reasons for grouping the wines in thematic flights is to gain additional perspectives that aren’t possible when wines are grouped in chronological order. In this tasting, it is so obvious that the 1990 is closer in style to the wines of the 1980s than the 1990s or 2000s, something I never fully understood or appreciated to this degree. 97/Drinking window: 2014-2020. One of the most fascinating aspects of Cascina Francia is its track record for great wines in poorly regarded vintages. Of course, much of that is ultimately the result of the producer’s vision as well. What a treat it is to taste four wines from cold years together. The 1987 Monfortino is another wine that is simply mesmerizing. For many years, 1987 was the insider’s Monfortino, a wine whose beauty was only known by a select few. From magnum, the wine is even more striking. A gorgeous, expressive bouquet melds into delicate, lifted fruit in one of the most sensual wines of the night. 98/Drinking window: 2014-2029. The 2002 Monfortino is one of the most iconic Conterno wines in recent memory for the reasons described above. Interestingly, the additional year in cask has made the 2002 much more approachable in its youth than most other vintages, so opening a bottle at this stage is not as crazy as it might seem on paper. The 2002 impresses for its depth, concentration and complexity. Tonight, it is superb. 98/Drinking window: 2017-2042. I am quite struck by the 2005 Monfortino. Every other young Monfortino I have tasted from barrel has shown its quality and personality immediately. The 2005 is an exception. A wine that was hard and compact until quite recently, the 2005 is finally starting to open up. The fruit is incredibly pure, precise and brilliant, but the best is yet to come. This is a great showing from the 2005. 97/Drinking window: 2020-2045. Sadly, the 1996 Monfortino is problematic. One magnum is corked and the other is slightly oxidized, which is a real shame, but it happens. ? Our flight of Epic Vintages more than lives up to its billing. The 1970 Monfortino is spectacular from the moment it is opened. This is the only wine in our tasting made from purchased fruit in the pre-Cascina Francia days. Savory, perfumed and delicate, the 1970 is the quintessential iron fist in a velvet glove. At 44 years of age, the 1970 shows itself to be one of the greatest Monfortinos ever made. In a word: breathtaking. 100/Drinking window: 2014-2024. The 1982 Monfortino has long been one of my favorites. Some bottles are beginning to fade just a bit, but from magnum, the 1982 is silky, layered and exceptionally beautiful, with a long finish and fabulous overall balance. 97/Drinking window: 2014-2024. More generous and ample in style, the 1985 Monfortino reflects the warmer vintage in its resonant, expansive personality. What a great wine this is. Stylistically, the 1985 is one of the more explosive, dense wines of the evening. Readers lucky enough to own the 1985 can look forward to another 20 years of exceptional drinking, although the 1985 is virtually impossible to resist today. 98/Drinking window: 2014-2024. I have always had a big crush on the 1999 Monfortino. Here it is the combination of sensual, virtually intoxicating perfume, focused fruit and structure that stands out most of all. 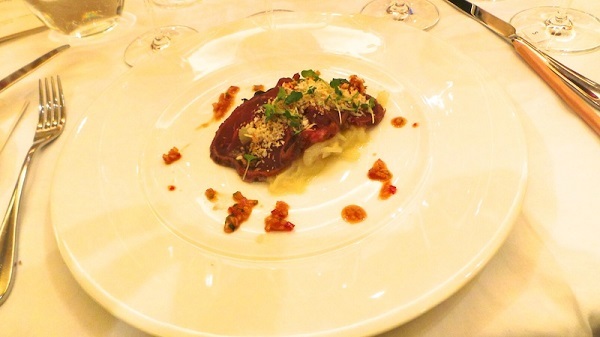 The 1999 is naturally quite young, especially from magnum, but it is a head-turning beauty. I remember giving the 1999 a huge score when it was first released and going long on the wine. I am glad I did. In time, the 1999 will take its rightful place among the greatest Monfortinos ever made. Actually, it already has. 100/Drinking window: 2014-2039. In many ways our last flight is the most satisfying. I say that because the wines are young, and therefore the slight bottle variation that naturally creeps in as wines age in bottle is nowhere to be found. These three wines are all incredibly pure, slightly more aged versions of what I tasted in barrel. The 2004 Monfortino steals the show in this flight. I have always loved the 2004 and that continues to this day. Arguably one of the most sensual, exotic and finessed Monfortinos ever made, the 2004 is all about harmony. Nothing sticks out. Instead, all I want is another taste. Then another…just to revel in the wine’s total seamlessness and profoundness. This is as good as wine gets. Not in Piedmont or Italy, but anywhere. 100/Drinking window: 2014-2044. A close second in this flight, the 2001 is dense, pure and intense to the core. Stylistically, the 2001 Monfortino lies between the 1999 and the 2004, which is pretty appealing. In this tasting, the 2001 is a bit reticent, as it is neither young nor mature. It is majestic though. Readers who own the 2001 need to be patient. There is so much to look forward to. 98/Drinking window: 2016-2041. For a young Monfortino, the 2006 is surprisingly accessible. I often suggest readers who want to taste young Monfortinos do so right after release, as the wine often shuts down. Maybe it is the gorgeous London spring day, but the 2006 is wonderfully open and expressive for a young Monfortino. Today, the 2006 looks like a modern-day version of the 1999. The sinewy, muscular tannins ensure decades of magnificent drinking lie ahead. 98/Drinking window: 2021-2046. In keeping with the custom at Vinous events, there is always more than enough wine. As the evening winds down everyone has a chance to revisit one or more of their favorite vintages. Mine include the 1970, 1987 and 1988. Not because they were the best or most profound. Aside from the 1996, which is flawed, there are no ‘best’ wines here, just 17 profound expressions of Barolo. No, my favorite wines of the night are simply those that exceeded my lofty expectations by the widest margin.